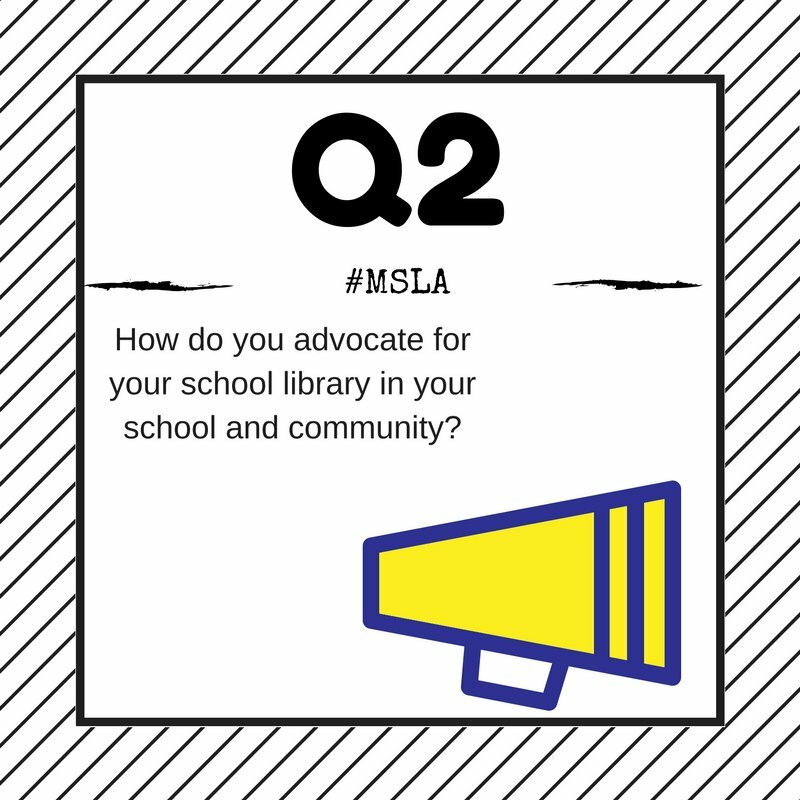 MSLA (Massachusetts School Library Association) is a monthly chat that is held (alternating) on the second Tuesday and Wednesday of every month at 7:30 p.m.
Hi #MSLA - Amy Short, Lib. Dir for Cambridge Pub. Schools. Reading Sweetbitter by Stephanie Danler and The Girls by Emma Cline right now. 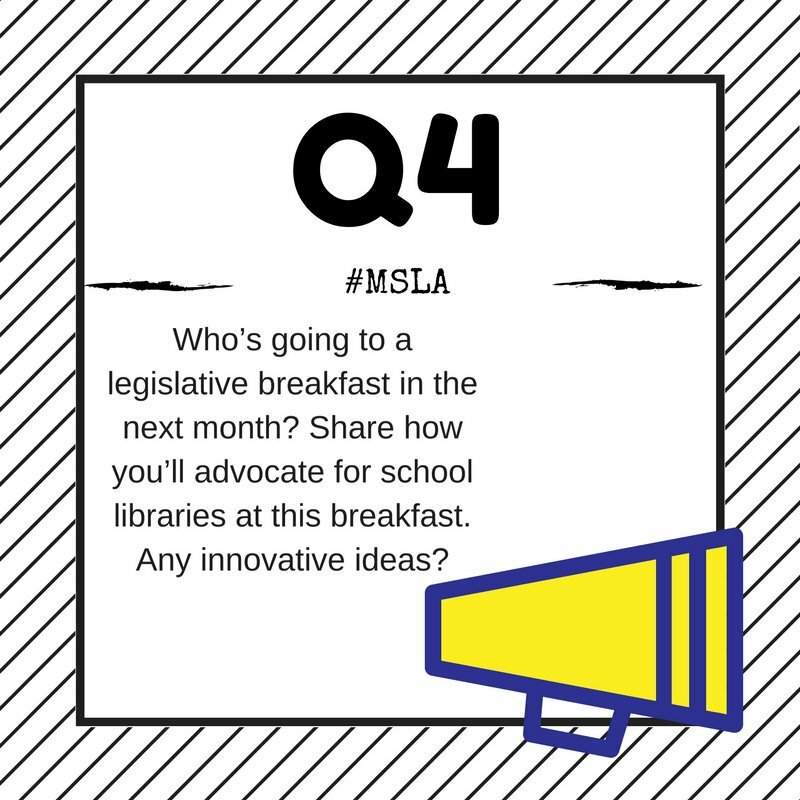 Excited you are leading #MSLA chats; you're a natural for this role! Carrie, East Bridgewater, grades 7-12 #msla. Hello! 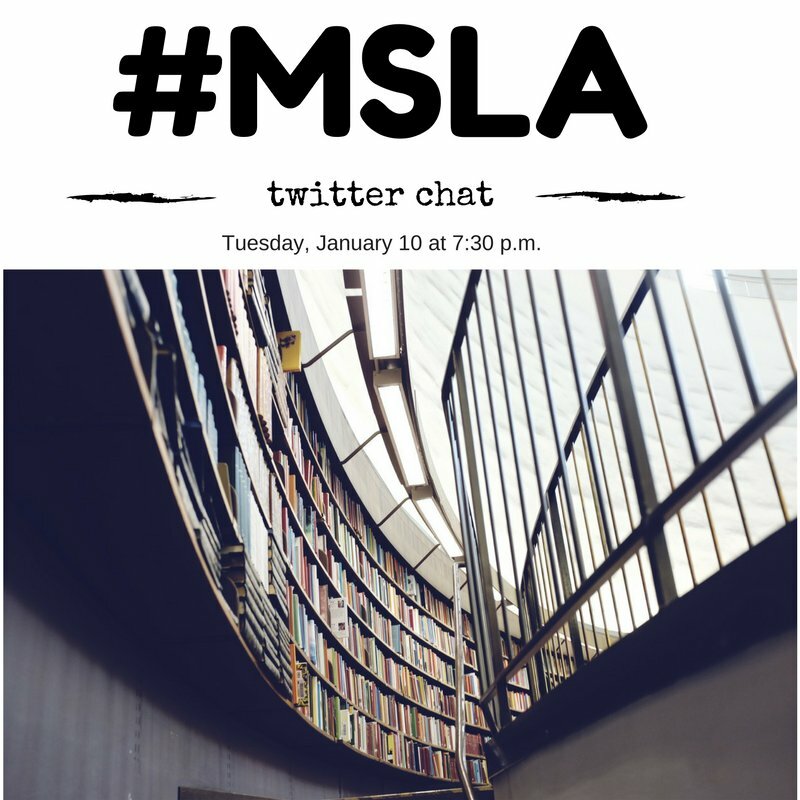 Hi Donna - use the hashtag #msla for the chat. 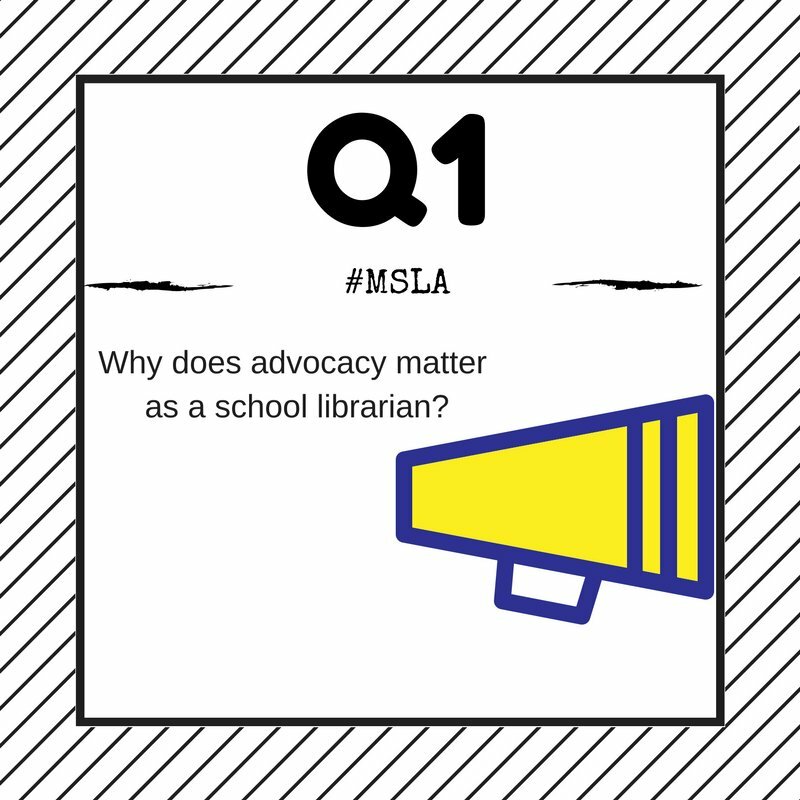 #msla Broadcasting services to faculty across subject areas and grade levels is a form of advocacy. 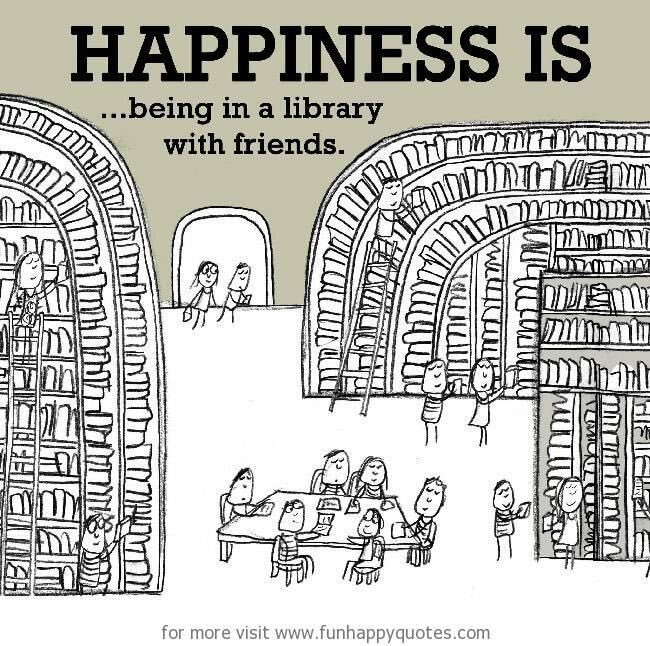 Thanks @LibrarianMsG - you run a very well-organized #msla chat!